Are you ready? (It’s a big phrase.) Ahem... The toppling of the hierarchy of learning. Lindsey has studied classical violin since age six. Private teachers for 12 years. Where did she learn to dance like this? Answer: YouTube! She says so here on her website. She analysed music videos, studied the footwork of the dancers, put her own moves together and practiced in front of a mirror. If Lindsey can learn her choreography from the Internet, do you think you can you learn to design and improve your drawing and painting similarly? Mira Reisberg (aka: The Picture Book Whisperer) is offering The Craft and Business of Children’s Book Illustration, June 3 — July 15. 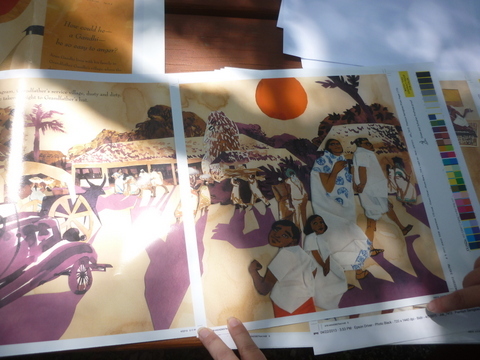 Will Terry and Jake Parker are offering Illustration for Storytellers, June 10 — July 10. Mira’s class promises a full-immersion experience into the world of children’s publishing, with her own video interviews with editors, art directors and author-illustrators. There will also be wide-ranging lessons on craft/technique and the business/career-building side of being a children’s book artist. Will’s and Jake’s training will take you through design, draftsmanship, painting and building flowing storyboards and successful full-colored final art. They’ll cover how to prepare your art for a traditional print book, e-book, story app, help you to understand traditional vs digital illustration, file types, pagination, pacing, layouts — and how to build your online presence as an artist. The live interactive class is already full, but through July 15 you can still register for the lite version, to receive the recordings. You can access our amazing two-hour session with Will and Jake here or by clicking on the graphic below. Will and Jake each taught a very cool, generous lesson that you won’t want to miss. Of the two classes, which one should you pick? It’s a no-brainer! Take both! And when you finish their classes, consider taking my Make Your Splashes; Make Your Marks! online course, too! 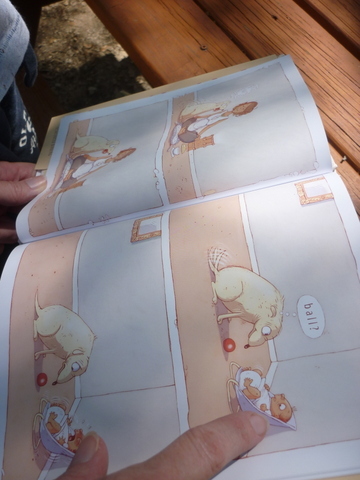 It’s also about children’s book illustration. Online art classes like these rock! They’re fun. They’ll make you better. And they’re re not as difficult as teaching yourself to dance while playing the violin. 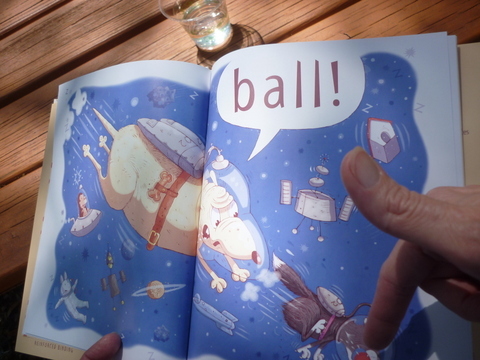 At author-illustrator Mary Sullivan’s launch party for her one word picture book Ball! 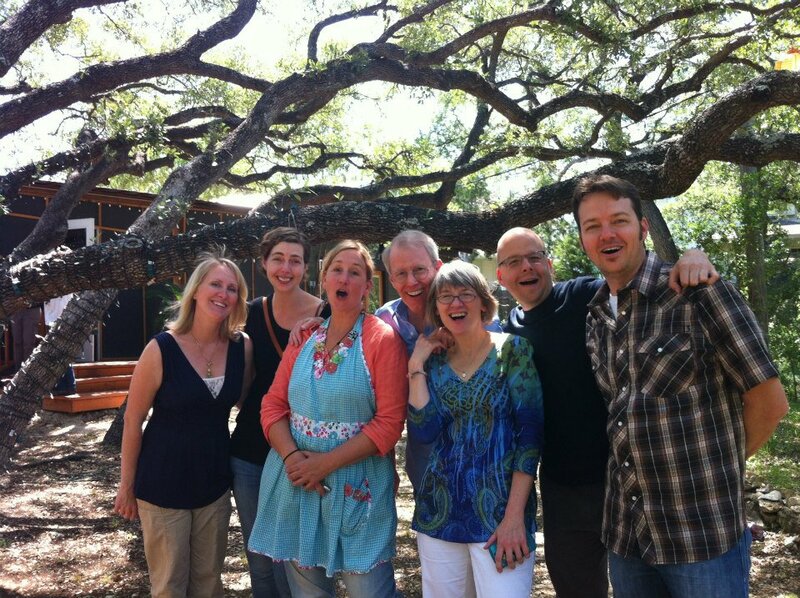 (Houghton Mifflin) at The Writing Barn, in Austin Texas on May 4. Left to right Austin SCBWI Regional Advisor and author-illustrator Shelley Ann Jackson, Austin SCBWI Illustrator Coordinator Amy Farrier, author-illustrator Mary Sullivan, author-illustrator Mark Mitchell, author Julie Lake, author-illustrators Erik Kuntz and Jeff Crosby. Photo by author Bethany Hegedus. To see a recent post and video interview featuring Mary, go here. 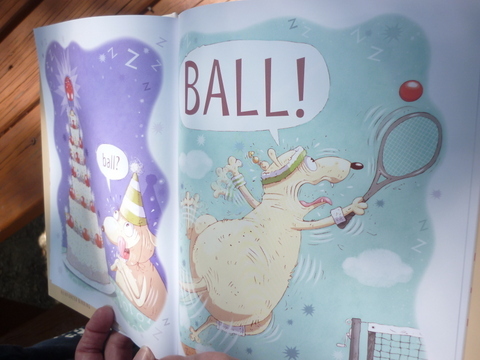 A spread from Mary Sullivan’s new picture book Ball! published by Houghton Mifflin Harcourt Publishing Company. From Mary Sullivan’s new book Ball! Julie Lake reads Ball! at The Writing Barn. During Mary’s signing party at The Writing Barn, Austin SCBWI Illustrator Coordinator Amy Farrier, authors Greg Leitich Smith, Cynthia Leitich Smith and Bethany Hegedus, author-illustrators Jeff Crosby and Erik Kuntz and author Julie Lake review the early page proofs shared by Bethany from her upcoming picture book, Grandfather Gandhi, co-authored by Arun Gandhi and illustrated by Evan Turk. Due out in March, 2014. 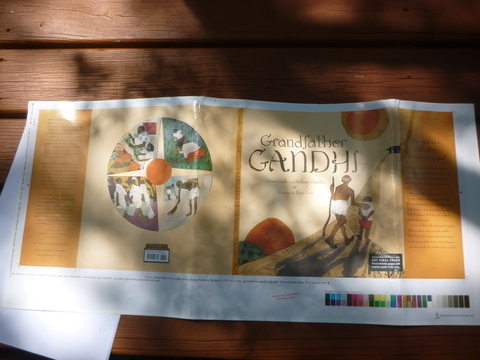 Cover of the upcoming picture book, Grandfather Gandhi, co-authored by Arun Gandhi and Bethany Hegedus, illustrated by Evan Turk. 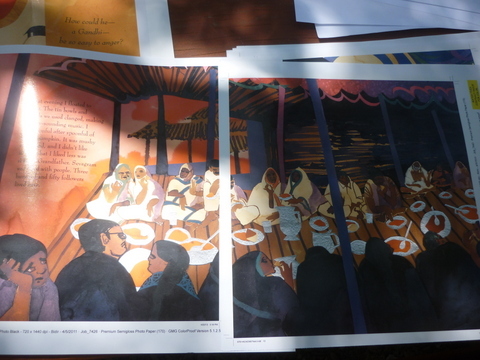 From the upcoming picture book, Grandfather Gandhi, co-authored by Bethany Hegedus and Arun Gandhi and illustrated by Evan Turk. Scheduled for publication 3/11/2014.